On this date the 6th of November in 2009 our maternal great-uncle Melton passed away. Melton Martin Wright and his wife Mary Ruth Alborn Wright are buried in Forest Lawn Memorial Park, West Orange, Orange County, Texas, USA. Melton Martin Wright, of Orange, passed from this earthly life to his heavenly home Friday. Born in Manifest, Louisiana to John and Grace Wright, he was the youngest boy of eight children. He spent his childhood and young adult years in the Manifest and Jena, Louisiana area. He was drafted into the army on February 8, 1941 and honorably discharged on December 24, 1945. After his discharge from the army, Melton returned to his Louisiana home before relocating to the Orange area where he, along with others in the community, worked to organize Little Cypress Baptist Church. Melton and his wife Ruth were members of the North Orange Baptist Church, where they have been members for fifty three years. Melton was employed by DuPont Sabine River Works in Orange for thirty one years and retired in 1978. 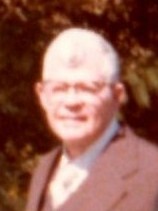 Survivors include his wife of 57 years, Ruth Alborn Wright, one daughter, Nancy Hankins and her husband Mack; two sons, David Wright and Stephen Wright and his wife Julie, as well as one sister, Irmarie Scott; eight grandchildren, eleven great-grandchildren, and two great-great-grandchildren as well as numerous nieces and nephews. Funeral services at Claybar Funeral Home with burial at Orange Forest Lawn Cemetery in Orange. Reverend Lynn Ashcraft will officiate at the services with Revered Scott McIntosh assisting.